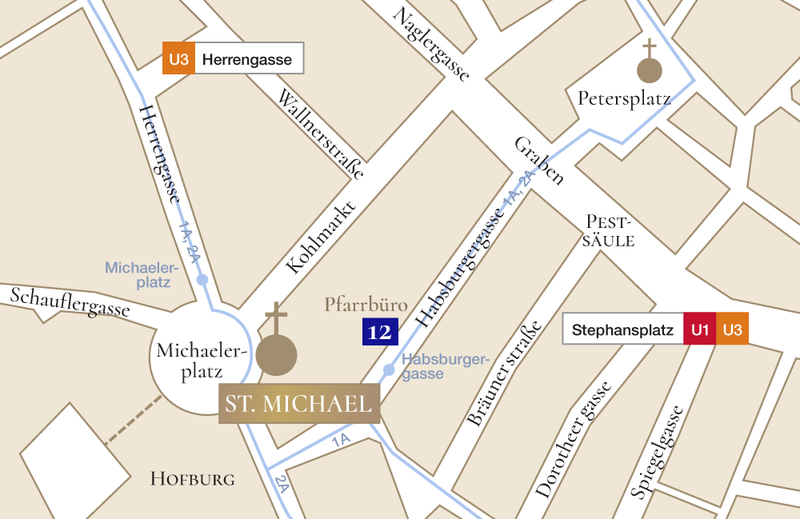 Welcome to St. Michael’s parish church in Vienna’s first district. Thank you for visiting our website. The parish office is led by Constanze Gröger. An English broshure of St. Michael and of St. Michael’s Crypt is available in the parish office.